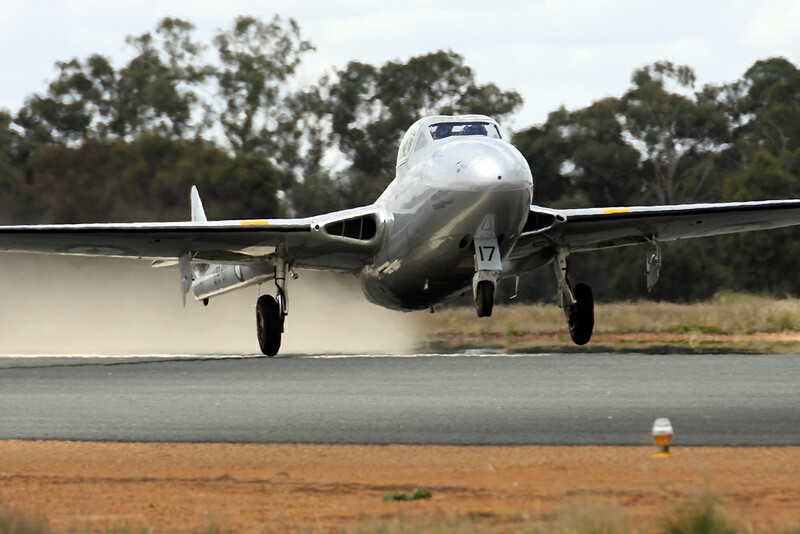 In the biggest news in recent years, the Temora Aviation Museum‘s president and founder, David Lowy AM, has announced that the museum will start a complex project to return their English Electric Canberra TT.18 WJ680 and de Havilland Vampire T.35 A79-617 back to flying condition. Neither aircraft has flown for some years now, so a lot of work will be involved. 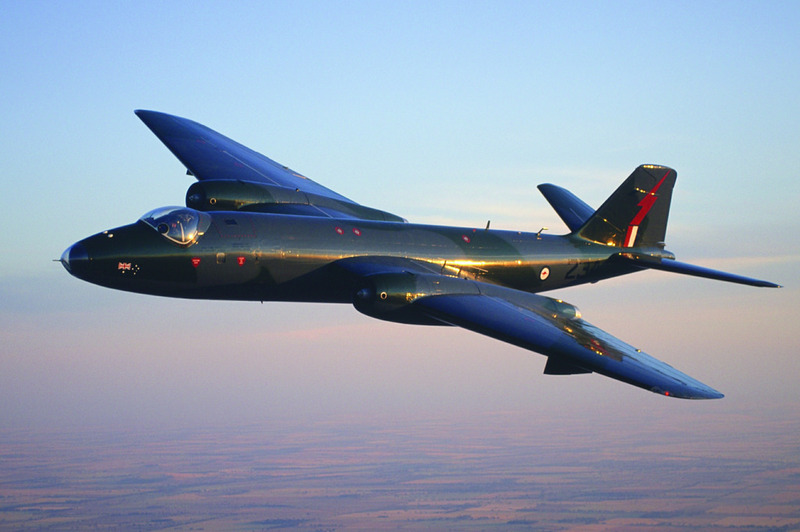 The Canberra and Vampire were important designs in the early days of Australian jet aviation. The museum’s examples have interesting histories. Canberra WJ680 entered service as a B.2 in December, 1955 as part of 551 Wing RAF Bomber Command based at Gutersloh, Germany. However, in February 1956, it suffered damage that resulted in a 12 months out of service. Shortly after her return to 59 Squadron, the aircraft again suffered extensive damage from a bird strike during a low level training mission which battered the canopy, engine cowlings, tailplane and the wooden fin (fitted to the UK-built machines). Repaired yet again, the RAF reassigned the aircraft to a UK-based maintenance unit where she remained in storage for the following decade. In 1967, the British Aircraft Corporation (successor to English Electric) converted the bomber into TT.18 standard, carrying the Rushton-designed target-towing system. Following the rework, WJ680 went back into storage until 1971 when the RAF reactivated her. In December 1972, the Canberra, now with 7 Squadron at RAF St.Mawgan, was involved in yet another incident. The top hinge for the rudder sheared during an air test. The navigator, Plt Off Geoff Burns, ejected safely, but the pilot – bravely – elected to land the aircraft wheels up. This resulted in more than two years of repair work. She returned to 7 Squadron on target towing duties, flying without incident until 1980. British Aerospace (successor to BAC) then took in WJ680 for major servicing at their plant in Samlesbury, Lancashire, birthplace of the production Canberras. Following the major servicing, WJ680 joined 100 Squadron at RAF Wyton where she remained on strength until December 18th, 1991; the date of her last flight in RAF service. She then went into a period of open storage at RAF Wyton until 1992 when the Ministry of Defense sold her to Ron Mitchell. In 1994, registered now as G-BURM, the Canberra made her civil air show debut, at Duxford no less. The Temora Aviation Museum acquired the Canberra in May, 2001. Upon acquisition, the Museum repainted the aircraft to represent those flown by RAAF 2 Squadron during the Vietnam conflict. While the aircraft has not flown in some years now, she is well maintained, and remains, to this day, the only flyable English Electric Canberra in Australia. The Museum’s Vampire (Construction No. 4139) rolled off the deHavilland (A) production line in Bankstown, New South Wales in early 1958. The RAAF officially accepted her from the manufacturer on May 22nd, 1958. She first entered service with the Central Flying School at East Sale in Victoria, then later transferred to No. 1 Advance Flying Training School at Pearce in Western Australia. The RAAF put her up for disposal in January, 1970 along with the remaining Vampires in their fleet. Luckier than most of her type, A79-617 found a civilian buyer that June. He shipped the Vampire to the USA, where after many years of storage and several different owners, she returned to flying condition, now registered as N11923. David Lowy acquired ‘617 in 1998 and shipped her back to Australia, where the Vampire underwent extensive restoration and repainting at her birthplace in Bankstown, before arriving at the Temora Aviation Museum, now registered as VH-VAM. 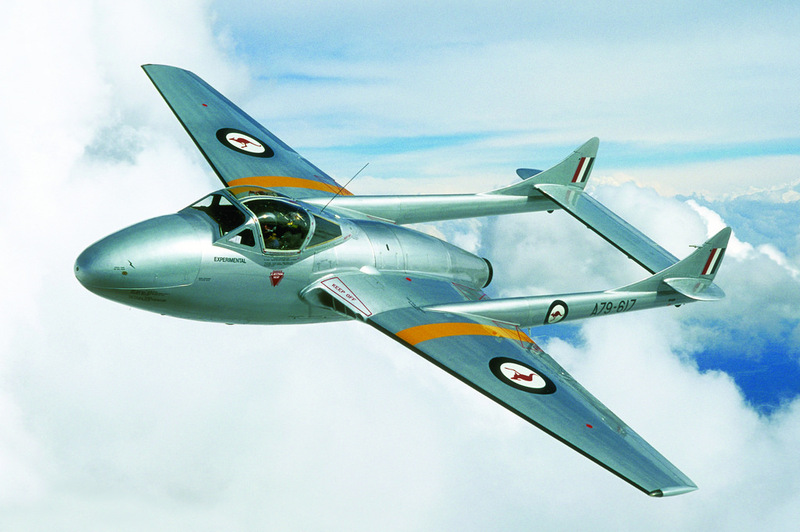 In February, 2001, David Lowy donated the Vampire to the Temora Aviation Museum. She made her first flight since returning to Australia on June 5th, 2001. A79-617 has not flown in some time, much like the Canberra, but when she finally takes to the skies again she will be the only Australian-built Vampire flying in the country of her birth. The Temora Aviation Museum conducts regular Flying Aircraft Showcase days each month, with dates for October, November and December to be released very soon. The Museum is open 361 days a year and has just announced the dates for the next Warbirds Downunder Airshow which will take place over the weekend of October 12th/13th, 2018. WarbirdsNews would like to thank the Temora Aviation Museum for the use of their images in this article, which also includes adapted text elements from museum press releases. Would be great if you get the Canberra flying again. I flew on jollies in the back of that Canberra back in the early 80s when I was the only airman on 7 Canberra Sqn.